If you’re looking for good-old fashioned down-home comfort food, cabbage rolls are a classic. 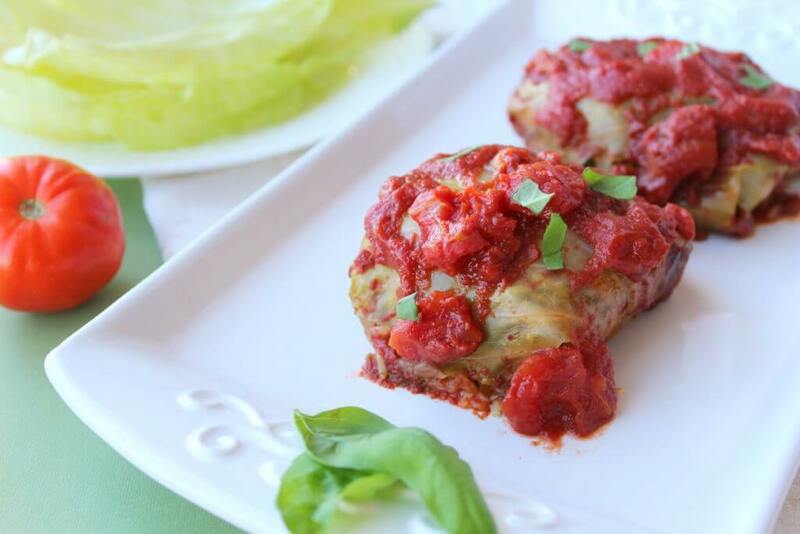 It really isn’t that hard to remake the classic version into Paleo, Slow-Cooker Cabbage Rolls. 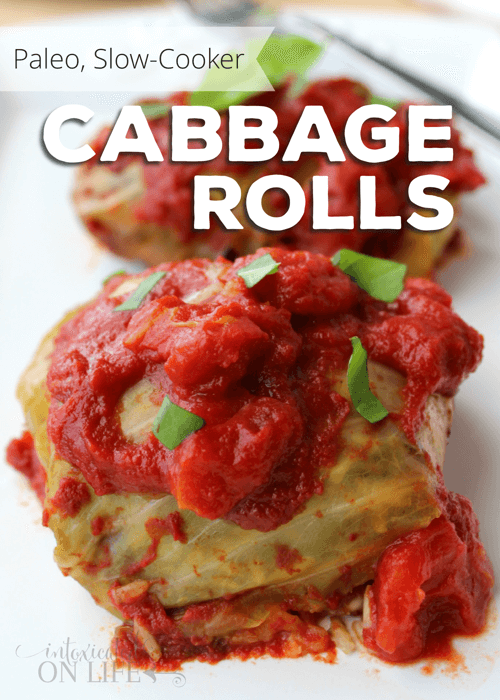 This makes the cabbage rolls both healthy and easy for the busy mom to throw in the slow-cooker. What’s different between these cabbage rolls and the ones my mom made growing up? Not much! Rice has been substituted for riced cauliflower. Instead of a heavy grain-laden meal, these cabbage rolls are packed with nourishing veggies—tomatoes, cabbage, and cauliflower. Instead of sautéing your onions in canola or vegetable oil, use coconut oil. Rice your cauliflower using a food processor (or grate it by hand). In a large bowl, mix the beef, pork, garlic powder, salt and pepper. Put a large pot of water on the stove over high heat. To prepare the cabbage for rolling, lightly boil it whole and peel the leaves off a few at a time. Cut the core out of the cabbage and place in the pot. Bring to a boil and then reduce the heat to a simmer. As the leaves soften, you can peel them off with a spoon or pair of tongs. 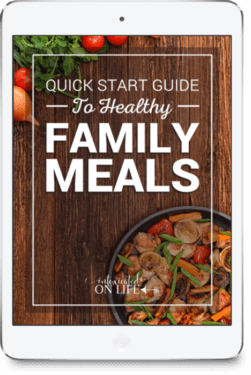 In a large skillet over medium-high heat, add a tablespoon of coconut oil , add the onion and sauté for 3 to 5 minutes until the onion is translucent. Combine the onion and riced cauliflower with the meat, and mix by hand to incorporate all the ingredients. Take a cabbage leaf, concave side up with the stem toward you, and place a large spoonful of the meat mixture at the stem end. Then roll forward, fold the sides in and end with the seam down. Mix the crushed tomatoes and tomato sauce in a bowl. Put about 1 cup in the bottom of the slow cooker. Lay the cabbage rolls in with the seam side down. Cover with the remaining tomato mixture once the slow cooker is full. What do you eat with cabbage rolls? Growing up, we always ate them with mashed potatoes. Yum! Yum stuffed cabbage is one of my favorites ever! can’t wait to try this version! 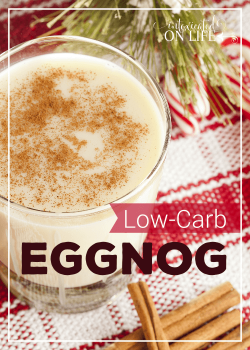 This looks and sounds delicious. I have a friend who is going grain free. I will be making these for her next week. Great idea. Thanks for sharing. 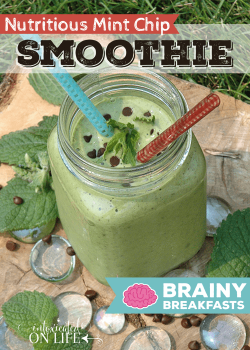 This looks tasty and healthy! 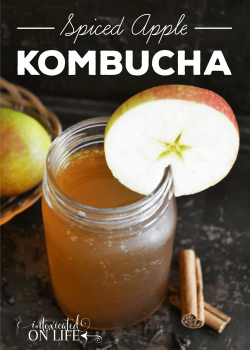 I’ll be adding this to my menu soon! Thanks for linking through Modest Monday. I love cabbage and these look delicious. Saving to make later. Thanks so much for sharing. These look soooo delicious! I have been looking for some new recipes, especially with cabbage! thanks so much for sharing! Visiting you from Making Your Home Sing link up. The directions do not discuss pre-cooking the raw meat. May I assume leaving it raw & allow it to cook in the crock pot? I’m using 2lbs of organic ground beef. Going to make this tomorrow…please reply soon. Cabbage Rolls. Yum! I’m working on our traditional Russian recipe currently (with rice ;)) But I have made them with cauli in the the past during our GAPS healing and they were delicious. At the bottom of the recipe it stated that rice could be used instead of cauliflower. Do you cook the rice first? Please give a little directions for using rice instead of cauliflower. Thank you!!! You have tomato ‘paste” in the ingredients but call it tomato “sauce” in the directions. Which one?